With the Westboro Baptist Church planning to protest on Pitt’s campus Thursday, the University and campus organizations are preparing. The WBC is known for its hateful speech against the LGBTQ+ community, Catholics, Orthodox Christians, Muslims, Jews and American soldiers. According to its online picket schedule, the group will be holding a series of protests Thursday in Pittsburgh, starting at Carnegie Mellon University at 1:30 p.m. and ending at 3:15 p.m. at Duquesne University. The group is scheduled to demonstrate on Pitt’s campus from 2:30-3:05 p.m.
Pitt’s Rainbow Alliance released a statement Tuesday condemning the upcoming WBC visit to campus and encouraging students to respond to the protest in ways most meaningful to them. The group is partnering up with Pitt’s Student Government Board to raise $600 — $20 for every minute WBC plans to appear on campus — for Proud Haven, a local nonprofit that helps LGBTQ+ homeless youth. “Regardless of what you do, please remain non-violent,” Rainbow Alliance President Kate Shindle said in the release. Shindle said in a phone interview students should do what they see fit in response to the protest, whether that is participating in a counter protest or expressing their opinions through art and writing. “Protesting is not just the only option, it’s not accessible to everyone physically and mentally,” Shindle said. Rainbow Alliance also said they are partnering up with CMU Allies to host a self-care event in Schenley Plaza at 5 p.m. on Thursday. 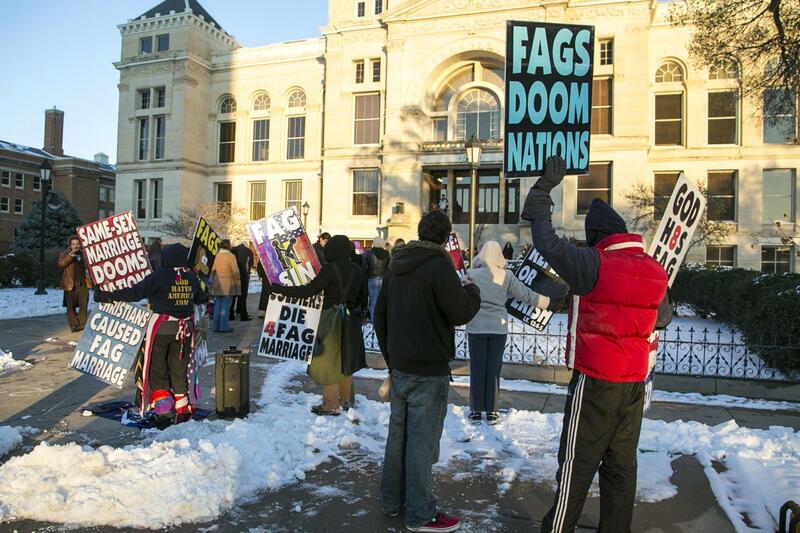 “We figured it would be a creative, positive response to [WBC’s] hate,” Shindle said in a phone interview. Any students planning to counter protest WBC’s demonstration should do their best to stay safe and remain vigilant,” Shindle said. “Pack light, don’t bring your schoolbags, don’t engage directly and stand your ground,” Shindle said.